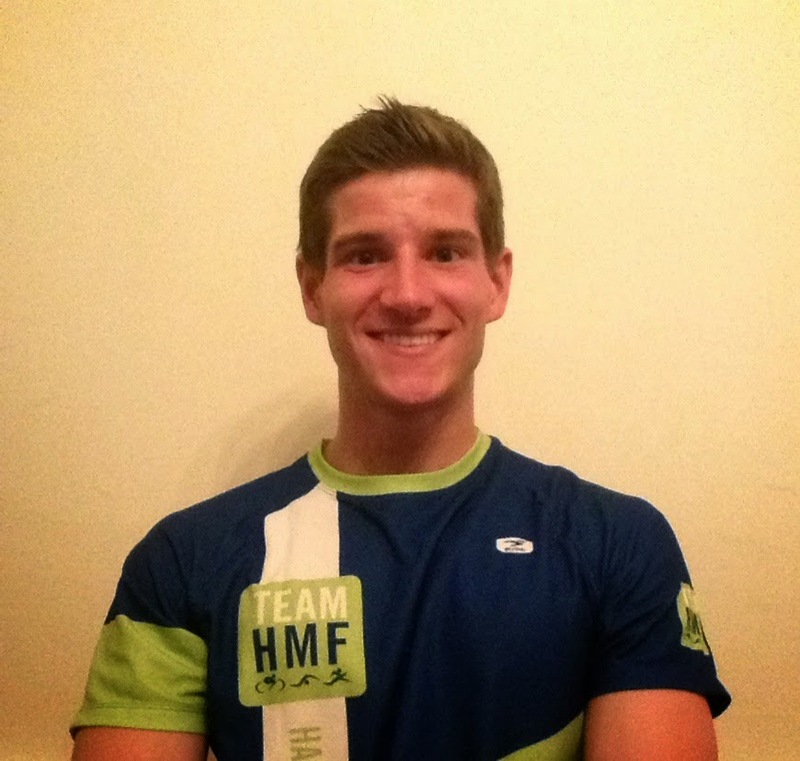 You've seen them out and about all season - the inaugural Team HMF is a great crew! We're excited to be bringing together many members of the team on Sunday at the Surftown Half Marathon and 5K. 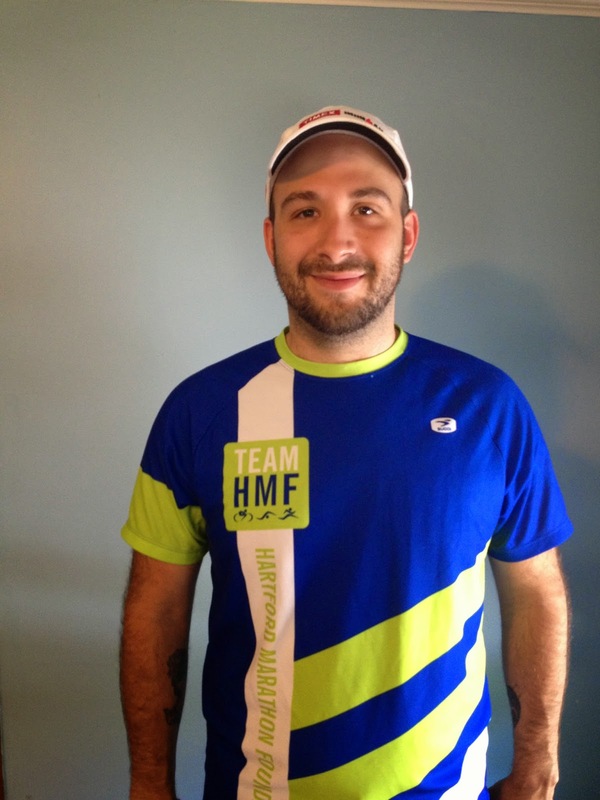 Learn a little more about Team HMF members you'll see out on the course, and we'll introduce you to the rest of the crew at the NU Hartford Marathon and Half Marathon. What is your favorite HMF race and why? Surftown. It is absolutely beautiful and is at the right time of year. Early fall so it is not to cold and not to hot....just the way I like it. I also love all the post race fun! What was your single most memorable race day experience? My most memorable race day experience will be the NJ marathon May of 2013. I had planned early on in making the BQ attempt at NJ. As everyone is aware 2013 brought us the most horrific Boston Marathon to date. These events just fueled my fire for the BQ even more. I can still remember race day in NJ and how everything just felt perfect...my legs, the weather, my mind. I had an amazing race that day absolutely nothing went wrong and I can still remember approaching the finish and seeing the clock and realizing my dream was really going to come true and I would have the BQ. This moment is even more memorable to me then running Boston 2014 as it just proved hard work and determination would give me my dream come true! What one piece of advice would you give to someone running his or her first race this year? Dream big and have fun! Don't get discouraged...everyone has bad training days and just bad days in general but if you can just keep pushing forward running can be your exercise, your therapy and your fun! What is your favorite HMF race and why? I love the Surftown Half because it is held at the perfect time of year for a half, the course is breathtaking, and when it is over you can put your feet right into the ocean. Why do you run? I enjoy the sport because during the solo training runs and races I can feel totally alone and independent yet there is such a wonderfully supportive community of folks in the running world. The festive atmosphere before and after races is one of camaraderie that I enjoy immensely. Many races are held to support great causes and it feels good to do something for others while doing something for my fitness and myself. What one piece of advice would you give to someone running his or her first race this year? Remember to relax and enjoy the experience, even though it is a competition you are ultimately out there in competition with yourself. What is your favorite HMF race and why? The Red Dress Run for Women (5K). The camaraderie, comfort and connection of running with all females is incredible. Plus, what better way to support women's heart health? What was your single most memorable race day experience? The home stretch of the Middletown Half. Everyone was cheering and I could see the balloon arc not even a block away. I hit my wall just then and thought I would trip and fall down. I didn't, and I finished the race just fine. This was my first race ever and it taught me to keep fighting and run through the pain and fatigue of future races. What was your single most memorable race day experience? My first 5k. A friend had suggested I try running a race with him. I mostly ran on a treadmill and had just transitioned to the road. I ended up finishing 3rd in my age group. I was hooked on racing after that day. What was the lowest moment in a race you experienced? My last marathon. It was cold and windy. The conditions were awful. I wanted to quit so badly at around mile 18. My legs got so stiff, they would barely move. Somehow I stuck it out and finished 6 minutes behind my PR. I could barely walk to my car after the race. I told myself I would never run a marathon distance again. 2 weeks later I ran a 50k trail race. What is your favorite HMF race and why? My favorite race is the Amica Iron Horse Half in Simsbury, CT. My parents come visit me in CT for the weekend each year and my mom will run the 10k while I do the half. What was your single most memorable race day experience? 2014 Boston Run to Remember Half. The night before the race, sleeping on my friend's couch, I told myself to go in with no expectations, and for good reason. I was three weeks removed from a marathon, spent the day watching movies and drinking soda, wearing barely broken-in shoes, had a giant burrito for dinner, and hadn't come close to my personal best in almost 9 months. Three miles in, I feel slow. I look at the timer, and it says 18:15. Suddenly I am 5 miles in, and the clock had just hit 32 minutes. I was cruising! The next 8.1 miles, I was on cloud nine. I took 3 minutes off of my personal best, running a 1:26! For years I have watched athletes on camera with puzzled faces after winning the big games, that look where you don't know if he or she is in shock, on the verge of tears or simply going to laugh in disbelief. After that race, I finally knew what that emotion felt like. What was the lowest moment in a race you experienced? Lake T Olympic Triathlon 2013. I had experienced my first bike fall about a month prior, and had yet to regain confidence. Riding up a hill about halfway through the bike portion, I fell while putting back my water bottle and my chain fell off. After putting the chain back on, I resumed riding, only to watch the back wheel come apart and my chain snap off the bike. I had to carry my bike back to the start, then received my first ever disqualification. It took almost a year to get back on the bike. What one piece of advice would you give to someone running his or her first race this year? Don't focus on the other runners. Focus on you and take in the entire experience. Set a goal time and have fun working towards it. Say thank you to all the volunteers and smile as much as possible. Most of all have fun and take tons of pictures! What is your favorite HMF race and why? A tie between Amica Iron Horse and NU Hartford Marathon. I love the energy at both of these races, the race courses are awesome and it's fun for the family. What was your single most memorable race day experience? Running Hartford Marathon in 2013 was pretty memorable. I had the privilege of running as part of the New England's Finest program and it was a phenomenal experience. I set a huge marathon PR and came well under my goal of 2:50. That was icing on the cake. It was a great day. What was the lowest moment in a race you experienced? Hitting the wall hard at Gansett marathon in 2012. As rough as it was, I finished and I wouldn't trade that horrible experience for anything. That race helped develop me as a runner just as much, of not more, than any PR setting, spectacular race. What is your favorite HMF race and why? I competed in the Litchfield Hills Triathlon, the triathlon is new to me so it was so much fun to challenge myself. The course was also absolutely beautiful which made the race even better! What was your single most memorable race day experience? April 21, 2014 was my fourth year running the Boston Marathon and with the tragic events of 2013 it was an honor to come back and run. The runners and spectators made the day one that is hard to put into words and it meant so much to run for those who suffered from the cruel events the year before. The Boston Marathon is like Christmas morning for me and this year was just magical to be part of. What one piece of advice would you give to someone running his or her first race this year? Start off slow and relaxed! My college coach used to tell us "You cannot win a race in the first mile, but you can lose it" (obviously as long as the race is longer than a mile) It's easy to get caught up in the excitement at the start of the race but there is no worse feeling than starting off too hard and then struggling to finish the race. Occupation: I've been working in PR and Social Influence for Mullen, a Boston-based communications agency for 20 years. What is your favorite HMF race and why? Hands down, the Surftown half in Misquamicut, RI is my favorite race. I could say it was about the course, flat, great views of the ocean around every turn, lots of cheering fans. Or the time of year, late summer on the shore with crystal clear, cool mornings turning to warm afternoons. The pre and post-race festivities. But the real reason is that Surftown is my annual homecoming. My family spent summers on the RI shore. Running through Misquamicut Beach and Watch Hill is like running back in time for me. Every step is full of memories. What was your single most memorable race day experience? My most memorable race day experience is from my first half marathon in 2010. I found out that my brother-in-law had registered for the race and having run a few 5Ks, I had been considering moving up to a more challenging distance. About 8 weeks before the race, I decided to register too and start training. Training went well and I set a personal goal of finishing in under 2 hours: a goal that I didn't really share with anyone. Fast forward to race day, my brother-in-law and father-in-law and I set out at a moderate pace. I was feeling great. About mile 9 my brother-in-law starts to slow down (his knee started hurting). I kept my pace and fell in with a small group of runners. As I pass the timer at mile 10, I do some quick math and figure that I might just make my 2-hour goal. As I make the turn into the home stretch (down a long hill), I can see the finish line clock just turn over to 1:59 and I start into an all out sprint. I run past my cheering family - intent on reaching the finish and cross at 1:59:59. Mission accomplished. What one piece of advice would you give to someone running his or her first race this year? Soak it all in. A lot of my friends have started running later in life. I tell them that they aren't out to break any records, only set new personal ones. Relax. Enjoy the atmosphere. Meet new people. Run your own race. If you feel good, push your pace. If you don't...save your legs for another day and another race. Enjoy a cold beer at the finish and then look forward to your next race or your next distance. At this point in our lives, we should be running and racing because we love it and doing everything we can to keep that love-affair going. What is your favorite HMF race and why? The NU Hartford Marathon. You always remember your first! Running a marathon went on my bucket list when I was16. I didn't get around to accomplishing that goal for 35 years. I have run other marathons in other towns. HMF does a great job. Well organized, great volunteers, beautiful course." What was your single most memorable race day experience? Everything about my first marathon. It took me 35 years to get around to running one. Training was hard and the whole experience was exhilarating and intimidating at the same time. My first marathon wasn't particularly fast or pretty but I finished and I was hooked. What one piece of advice would you give to someone running his or her first race this year? There are two races in every competition. The race to the starting line and The Race. Most new runners never make it to the starting line due to injury. Train smart, get help and listen to your body. What is your favorite HMF race and why? The Hartford Half Marathon! I love how much hype and pride the marathon produces for the city of Hartford. The organization of the event and crowd support throughout the course is unbelievably awesome. 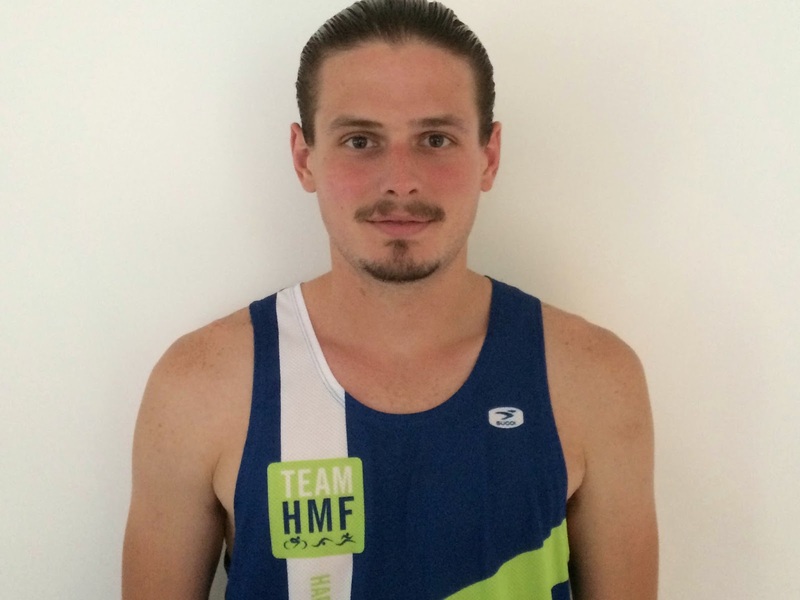 This year will be the 8th year that I've run the half marathon and being a Team HMF athlete has given me a boost of confidence that I can train hard and shoot for a PR! 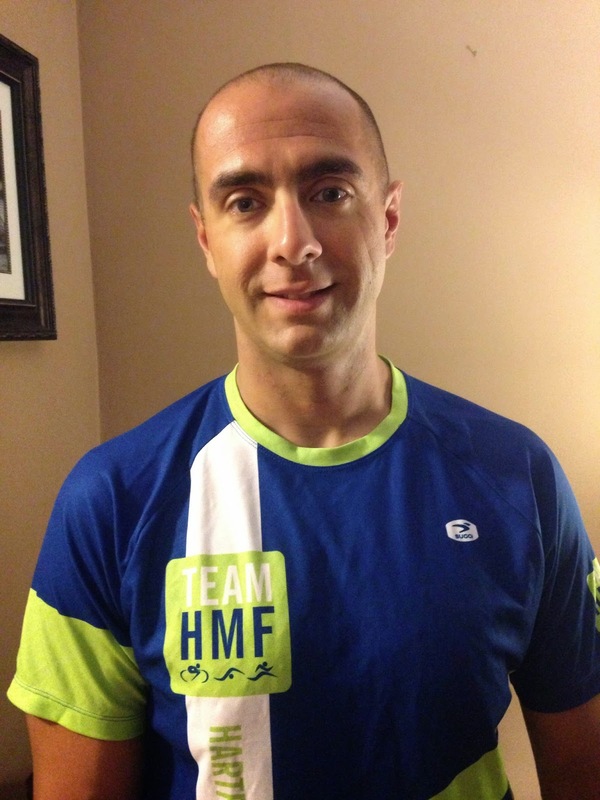 That is what makes me love HMF events so much; the spirit of these races is contagious and thrilling. What was the lowest moment in a race you experienced? This is hard. I think my lowest moment has always been seeing someone in pain and cannot complete the race. It's just a blow and disappointing. Why do you run? Running is my therapy. I have yet to find something that is so freeing, exciting and instantly gratifying. What one piece of advice would you give to someone running his or her first race this year? You're going to be nervous. Being nervous before a race is GOLD! My experience has been that my heart races, my throat gets a little tight, and my body just can't wait to get moving (and moving fast). Once the race starts, just take it all in, embrace the jitters and enjoy the ride. A race is something you CHOSE to do, so have fun doing it. What is your favorite HMF race and why? 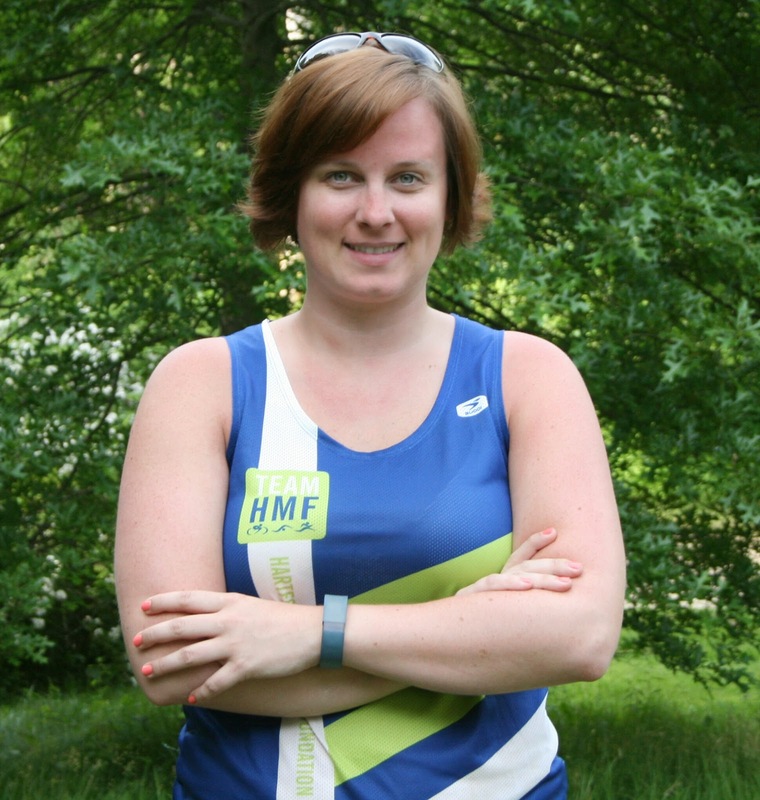 My favorite HMF race is the Hartford Marathon because it's local, which means I get to race with a lot of people I know, easy to get in and out if and is always do fantastically organized. What was your single most memorable race day experience? I think my most memorable race day experience was running the Hartford Half Marathon with my girl’s youth running team. I have been training these girls since they were in 5th grade and now they are in high school. They were only 12 when they ran the race and they all finished in less than 2 hours! They were so proud of what they had accomplished, it was better than any race I had ever run alone. What one piece of advice would you give to someone running his or her first race this year? My one piece of advice to anyone running any race for the first time is to enjoy it. Don't take it too seriously. Take it all in, the whole experience. I ran the New York Marathon last November and even though it was my 7th marathon I was overwhelmed by the whole experience, as I was entering Manhattan during the race I was so taken aback by the crowds and the excitement that I became very emotional. I told myself to take it all in because most people never get to experience something like this and this is the coolest thing ever. I often think that someday when I'm old and I have grandchildren, and I show them all the medals and share with them the stories of all these fantastic races that they will think "my grandmother was one cool chick!" What is your favorite HMF race and why? It's hard to choose since all there HMF events venues each have fantastic organization and unique venues, but favorite would be the Surftown Half Marathon. It's coastal location and fast course just makes it a must do race! What was your single most memorable race day experience? One of my most memorable experiences during a race was where my stomach was just not cooperating. Several miles into the race I was in a real bad spot but then at a water stop I had beautiful conversation with a blind runner. His enjoyment of running and the pure joy of just being out there that day was inspiring to me and it pulled out of the funk I was in and opened up my perspective on how lucky I am to be out there running! What's your "Go to" pre race meal? I wish this wasn't true but strawberry pop tarts with some additional raw honey on top are usually my good luck charms! Why do you run? The main reason I run is the fulfillment I get by covering distances with my own two feet! Running has enabled me to enjoy meeting new friends and traveling to new places all while taking in the beautiful scenery. Running also enables me to escape the ability to just slap on some shoes and just go gives me a feeling of freedom that I don't get from any other sport! 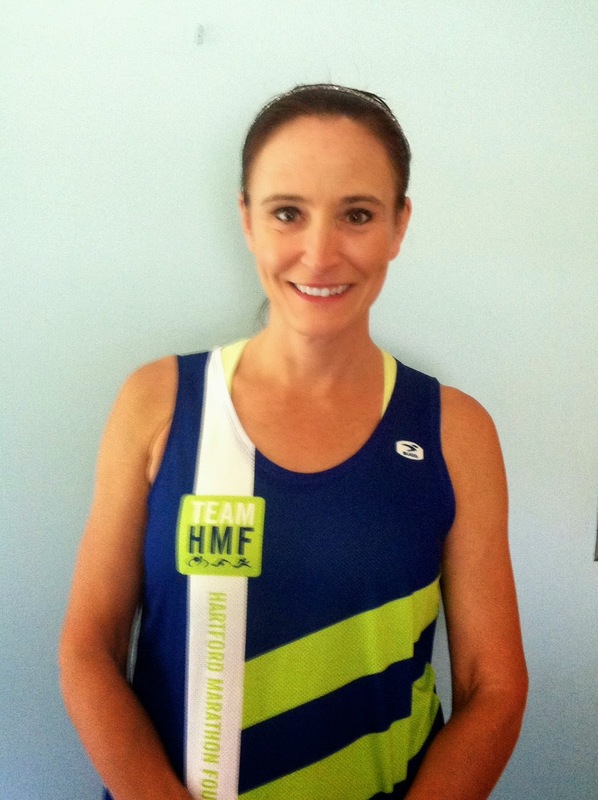 What is your favorite HMF race and why? 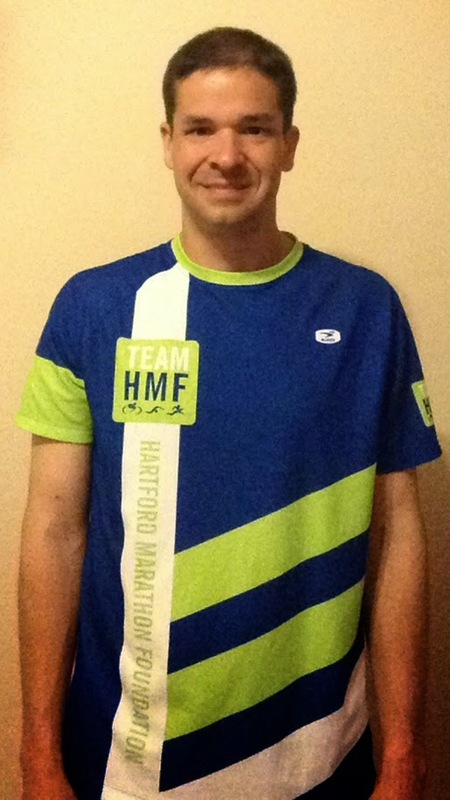 My absolutely favorite HMF race is the Hartford Half Marathon, especially since it was rerouted through West Hartford. It's such an amazing experience to run a race in your "home" town...the streets are filled with friends and family cheering you on, so much of the course includes parts of my training runs, and the after race celebration in Bushnell is great! What was your single most memorable race day experience? I would have to say that my most memorable race day experience was when I completed my very first Marathon in 2011. I had NEVER imagined that I would run a marathon. I had never really even wanted to run a marathon. It was never a "bucket list" item by any means. I had actually resigned to the fact that I would NEVER run a full marathon. I had completed about 10 half marathons within a few years time and decided to see if I could run longer than 13 miles one Sunday. I ran my first 15 miles on that day and thought "all I need to do is be able to run 11 more miles" and I decided to start training for my first full marathon with a lot of doubt, hesitation, and fear. The minute I crossed the finish line in Philadelphia I thought, "I can't wait to sign up for the next one!" What one piece of advice would you give to someone running his or her first race this year? The BEST piece of advice I could offer to someone running their first race this year is...DON'T put a finish time in your head. Think of your first race as your opportunity to set a baseline for yourself...something to measure future performances by. What is your favorite HMF race and why? I love running Iron Horse because the course is so beautiful. I don't get out to Simsbury very often, and it's a great chance to see a beautiful spot in Connecticut. What was your single most memorable race day experience? My dad ran the inaugural Surftown Half Marathon with me, which was amazing. He hadn't run in 25 years, and trained for it and we ran the whole race together. It was a great experience! Why do you run? It took me about 3 years to actually like running, and I'm finally there, and now I run because I can't not run. After a week of not running I can feel my body itching to get out there. It's become a part of me, of my personality, and a core piece of who I am. What is your favorite HMF race and why? Niantic Bay Triathlon. It was my first HMF race and the course and community are beautiful. What was your single most memorable race day experience? Crossing the finish line of the 2011 Mohawk Hudson marathon with my daughter. Why do you run? I want to inspire my children and others to live a full, fit, and healthy life. People say life is short. I disagree, life is long, enjoy it, embrace it. What one piece of advice would you give to someone running his or her first race this year? Enjoy every second of it. Don't get discouraged if you need to take a walk break or stop at every water station. You are doing something that may have scared the pants off of you when you signed up. Then, after the race, go find another. You now have a PR to lower! What is your favorite HMF race and why? 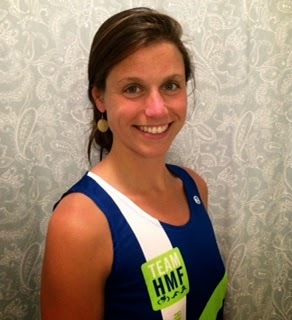 My favorite HMF race in undoubtedly the Hartford Marathon and Half Marathon. I've only run the half marathon one time, but it was a beautiful run through Hartford and West Hartford. Now I mostly volunteer for Marathon weekend and it has been a lot of fun. I just think it is amazing how many people make their way into Hartford to experience the event. It's really fun to cheer on runners along the race route. I'm mostly amazed at how all the moving parts come together to make it a memorable experience for runners and volunteers alike. And I love that they are adding a mile race the Friday night before! What was your single most memorable race day experience? Racing through high school, college, and beyond has brought about many memorable experiences. I've had some really great performances that I have been proud of during my track and field career. However, I think I will always remember my experience at Ragnar Cape Cod 2014. I was a member of an Ultra team, which means that we had to run a distance of 192 miles between 6 of us. It was the single biggest challenge I have ever undertaken in my race experience. I ended up running just over 40 miles over the 23-hour experience without any sleep. I was absolutely exhausted after finishing, but I am really proud of our team performance. That is a race that I will always remember. Why do you run? I've run competitively for almost 14 years now. In high school and college, I ran track and field where I was a sprinter/middle distance/hurdler. I love to compete and to try and put my best effort to see how I stack up against other runners. Now being several years removed from track, I have moved up a bit in distance, but still run to compete. It feels good to run a PR but then know that there is still more work to do to improve even more. That's what is great about running, you can set attainable goals and when you reach them you can push the bar even higher. There is no end point in running. We take great pride in creating courses for our runners that capture the best of the local scenery and provide a great race experience. This does not come without some serious and labor-intensive behind-the-scenes logistics though, course measurement is precise down to inches – yes, every single inch counts. Moving a curb in the road 10 inches can (and actually did) affect the course. So, when the City closed the access road to Elizabeth Park that was part of the 2013 half course, the tedious process ensued to change the course, and then re-measure and certify it. The NU Hartford Marathon, Half Marathon and 5K courses are all USA Track & Field Certified courses. Courses are not measured by GPS, tape measure, surveying equipment, car, or by walking with a measuring wheel. All certified road race courses are measured by a standard bicycle fitted with a calibrated mechanical counter on the front wheel. We hire a certified certifier (they really exist, we can’t make this stuff up!) who follows a 100-page manual of rules. Because the start and finish are in the same spot, and there’s no turn-around to adjust for slight change, everything had to be precisely changed within the route. What does all this mean to the NU Hartford Half course? Great things, actually! The NU Hartford Half Marathon still starts with the marathon in front of the CT State Capitol and turns south, away from the marathon, about a mile in. Before the split, you’ll hit a modified turn onto Farmington Ave, making for a smoother and more fluid turn. The majority of changes were made around Elizabeth Park, highlights include the elimination of four turns mid-course, the enter and exit to the Park will now be off Asylum Ave and you’ll run past the Connecticut Historical Society and UConn School of Law, a beautiful area. The 5K course will not be changing at all this year. With the exception of slightly adjusting the turn-around for Farmington Ave turn in the first mile of the marathon course, things remain the same there as well. We often get asked by from participants why their GPS readings are not the same as course length. Typically, the "short course prevention factor" is what throws off the measurement. All USATF certified courses are required to include a 1/10th of 1 percent (one-thousandth percent) extra cushion to make sure no one runs less than the stated distance. For a full marathon, that means 42.1925 extra meters or a little more than 135 feet. This is standard to every single certified course, so give yourself a little extra credit! More details on this are available here. While the Hartford Marathon Foundation itself is a 501c3 non-profit, the events we produce facilitate millions of dollars in charity donations through the efforts of our rock-star participants. At the NU Hartford Marathon & Half Marathon this year, we are proudly partnering with 25 Official Charities. Each of these partners is valuable to our communities and we encourage you to support their efforts by running on their teams, donating or supporting the causes. And, this year's Chuck Engle Charity Challenge gives everyone another way to support Level One charities! This friendly competition provides opportunity to have “Marathon Junkie” Chuck Engle fundraise for a charity team on race day. Famed (and super fast!) 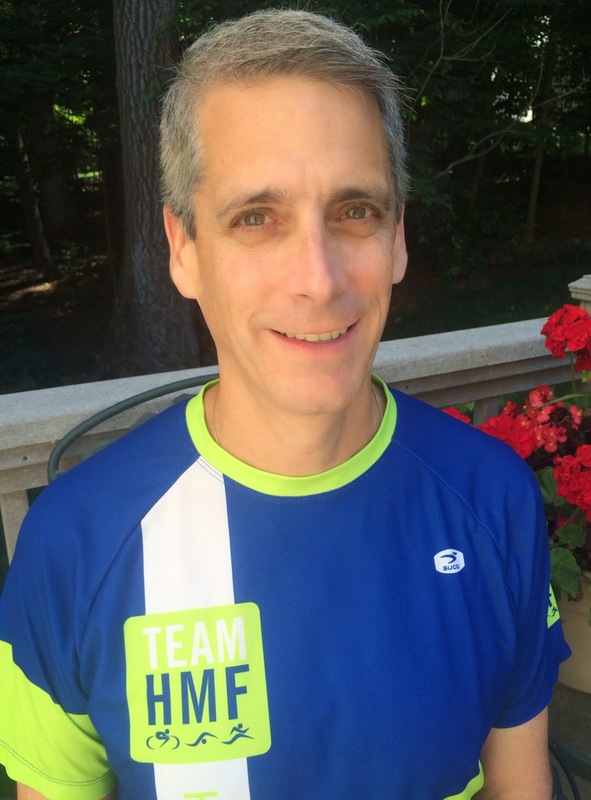 marathon runner Chuck Engle will be placed at the very back of the pack on race day. For every marathon runner he passes on the course, $1 will be donated to the Charity Challenge winner. With 3,000 marathon participants and Chuck's sub-3:00 finishing time, he'll be pulling in a pretty penny for charity on October 11! Each weekday from September 10-26, one charity will have their chance to collect entries via their own Charity Challenge Day. We will announce the charity of the day in the morning and share a link to their Charity Challenge Day page, but it will only be active for that one day until 11:59 pm. Supporters simply have to enter the Charity Challenge contest via Facebook and/or Twitter, one entry per platform, per person, per day. You don’t have to be affiliated with the charity to enter and are welcome to support more than one charity in the Challenge. Each charity's entries will be tallied and Chuck will run for the charity with the most entries! Entries will be submitted through the Rafflecopter app. Participants in the contest must like HMF Events on Facebook or follow @runHMF on Twitter to enter, no other entry requirements. Submission data will only be used for the purpose of tallying votes. Official rules will be posted on the app page. We’re just about 5 weeks away from the NU Hartford Marathon and Half Marathon, which means long training runs are in full force. We are seeing more conversations in the HMF Events Runners Group page, Tweets from your mile trackers and questions on planning before and after long runs. So, we are calling in the experts to help you along. 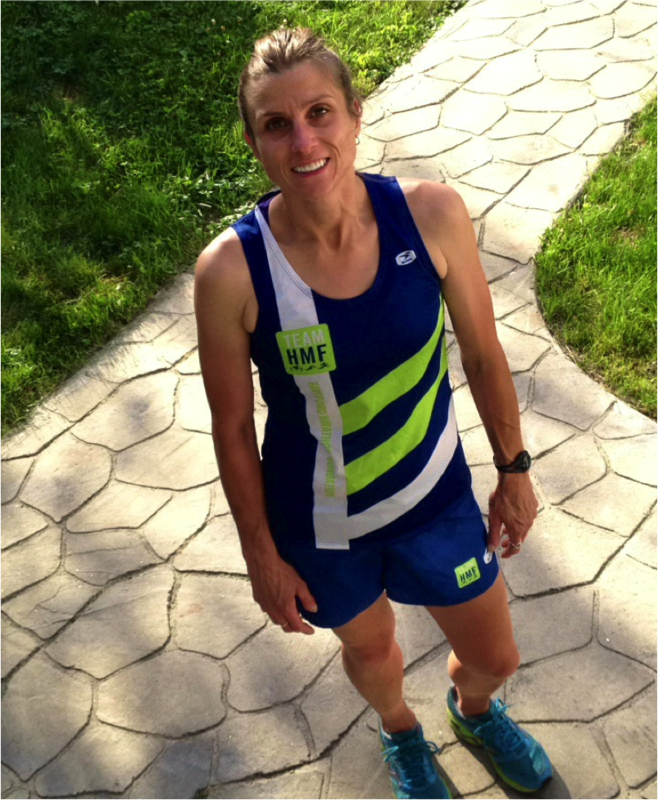 Physical Therapy & Sports Medicine Centers (PTSMC) physical therapist and seasoned triathlete and marathoner Kathryn Flodquist, PT, DPT, cert. 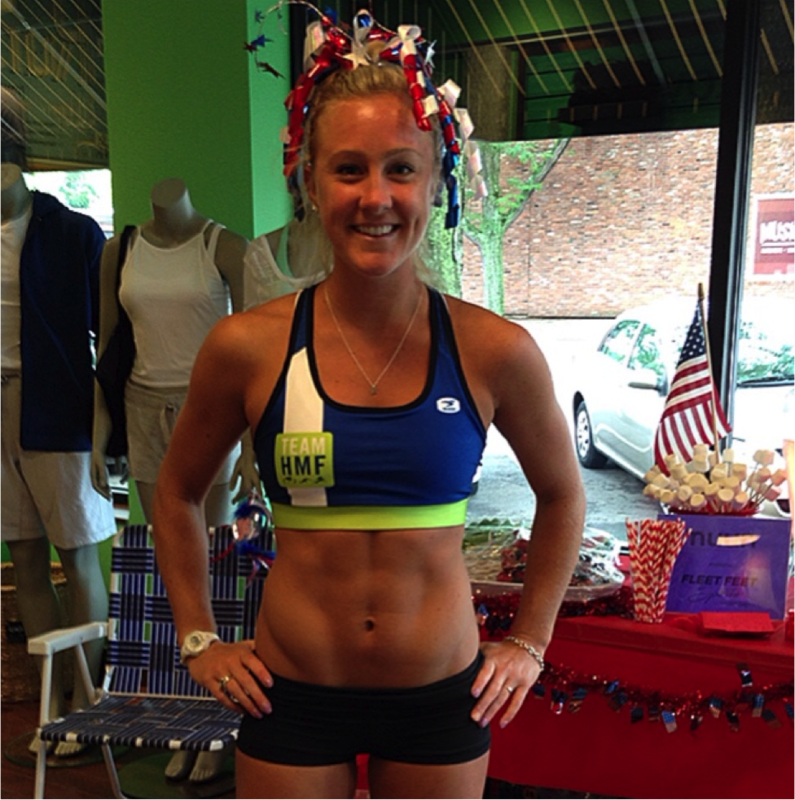 MDT, CSCS is sharing below her top tips for making it through long runs and to race day healthy and prepared. 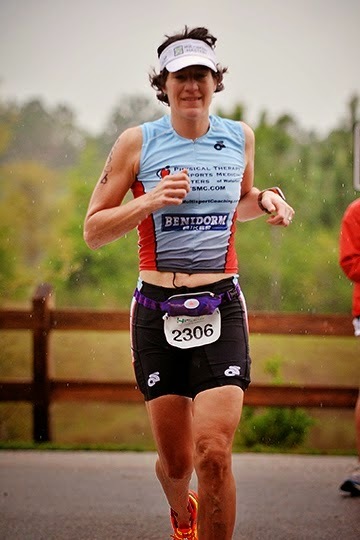 Kathryn is a Certified Strength and Conditioning Specialist with PTSMC and also a USA Triathlon Level 1 coach, you can learn about her through her Web site. Feel free to share questions in comments below and we will work with PTSMC to get you answers. Recover. Take care to recover, especially after longer runs, with light stretching, a good meal and some rest. Consider a nap after your longest runs - sleep is the best recovery tool available. Prepare race day nutrition. Practice your race nutrition during training. Whether a sports drink, gel or something else, don’t surprise your body with it on race day*. Find something you like and use it during your long runs so that you will know how it feels in your stomach and how you like the taste after several hours. *Click here for details on NU Hartford Marathon and Half Marathon course support. While there is no real substitute for running when marathon training you can bike, swim, hike and do other lower impact activities to give your joints a break while still building fitness. Running causes us to use the same muscle groups in the same way over and over, which can leave muscles tight and sore. Self massage techniques like foam rolling can help to keep the blood flowing and loosen any tight spots. If you have always run on pavement, don’t suddenly decide to do a run on a rocky trail. Our bodies become good at what we do all the time, if your feet and ankles are not prepared to handle the uneven surface and side-to-side movement on trails you’re at a greater injury risk. If you do feel a twinge or strain during a run don’t ignore it. If it gets stronger during the run, stop. Sometimes it may even come on after you’ve finished. Either way, it’s better to address it immediately, rather than push through it. Rest the area or switch to cross training for a day or so. Use ice and elevation if you have swelling. Don’t return to running until the swelling and pain subside. If this doesn’t happen after a few days, get it checked out. Also, if you seem to get injured frequently, or if you have “problem” areas, you may benefit from having your running gait assessed. Often we can see what’s causing your problem, and help you correct it. For detailed assessments of injuries broken down through the body, visit PTSMC’s injury page. While we shouldn’t need to remind runners of this, please don’t run in old or worn out shoes and do not make big changes to your running style, shoe type or activity level as you build up to the race. These kinds of changes take time to adapt to and frequently worsen your running ability in the short term as your body adjusts to them. We recently talked about Kathryn Switzer on the blog (see "How Far We've Come: http://hartfordmarathon.blogspot.com/2014/07/how-far-weve-come.html). 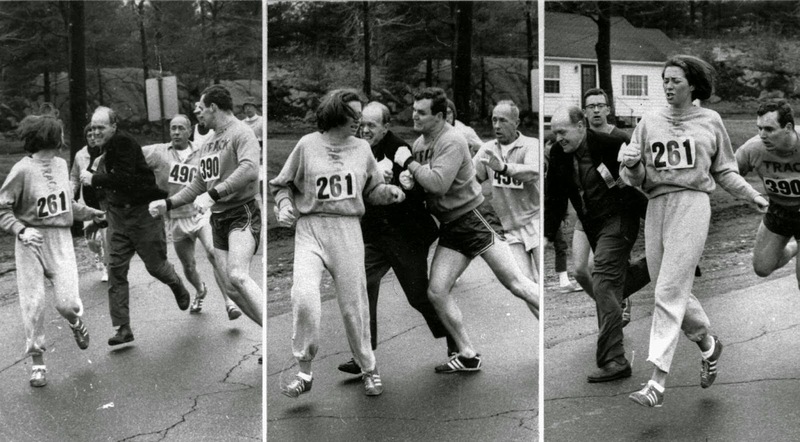 Best known for pioneering the official entrance of women into the marathon in the late 1960’s, Kathryn's iconic 1967 run in the then all-male Boston Marathon set historic change in motion. Since then, she has continued to inspire women athletes as a sports and social advocate, author and Emmy award-winning television commentator. Molly Barker founded Girls on the Run in 1996 with a vision to provide pre-adolescent girls with the necessary tools to embrace their individual strengths, teaching life skills through dynamic, interactive lessons and running games. What started with 13 girls in North Carolina has now been spread to nearly 800,000 in 47 states and in Canada. Girls on the Run uses running to inspire and motivate, encourage lifelong health and fitness and build girls' confidence through accomplishment. We look forward to seeing you there and welcome you to share your stories and questions for Kathrine and Molly.